For the last few years, matte lips are extremely popular, and I don’t think that there is a brand that hasn’t already released their version of this popular formula. I’m a big fan of matte lips but absolutely hate the feeling of dry lips. Therefore, I’m always in search of a better formula. 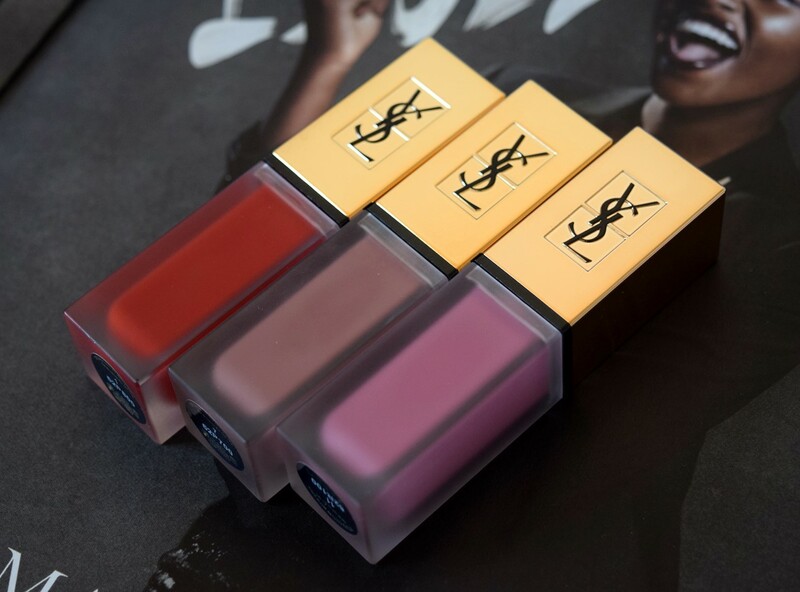 YSL lipsticks have always been one of my favourites because they just do the job. So, are these new ones any good and worth the price of £29.00? 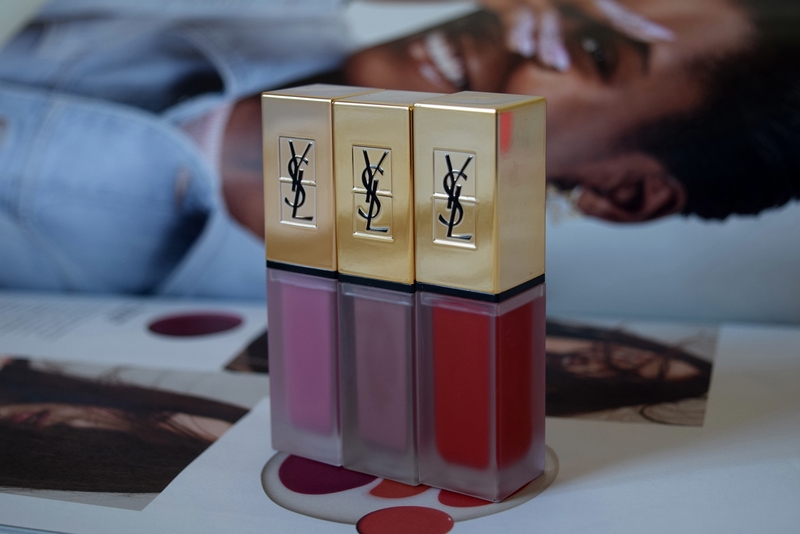 The packaging is familiar and as beautiful as the all the previous releases of YSL stain lip products. The gold cap and a matte bottle are quite catchy on the eye. A new thing is an applicator that is angular and makes applying the product so precise and easy, I just absolutely love it, and think it’s a brilliant idea! 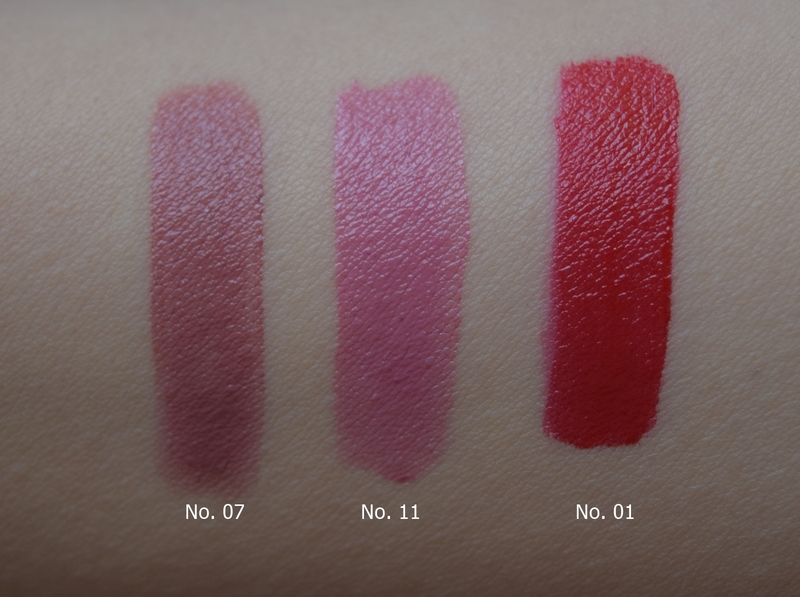 The formula of this liquid lipstick is very thin, liquidy and pigmented. You’ll have enough time to work with it, blend the edges, or just be very precise and take the time to slowly apply to get that perfect shape of the lips that you desire before it dries up. Even though the formula is pigmented enough I like to apply a very thin first layer to map the shape of the lips, and when I’m satisfied, I’ll apply the second coat to perfect it and make the stain more intense. Coats are applying evenly one on another, there are no problems with patchiness or uneven moving product around. ”From morning to night and back round to morning again, TATOUAGE COUTURE leaves the ultimate lasting mark.” I wouldn’t say that this is true, and if this is your expectation you’ll be disappointed. The colour fades away, and it fades not only if you eat oily food, but even if you drink coffee or just lick your lips. For me, the perfect wear out is usually around 2-3 hours if I’m not eating, and in that period I don’t have to worry if my lips are uneven. After that, I’ll check them and if necessary reapply the lipstick. 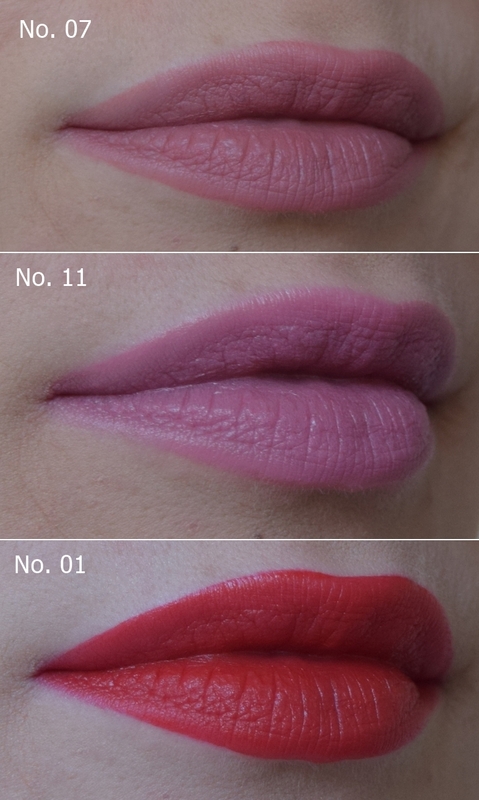 Reapplying is easy, and it won’t leave your lips patchy or with build in color in some places and not on the others. 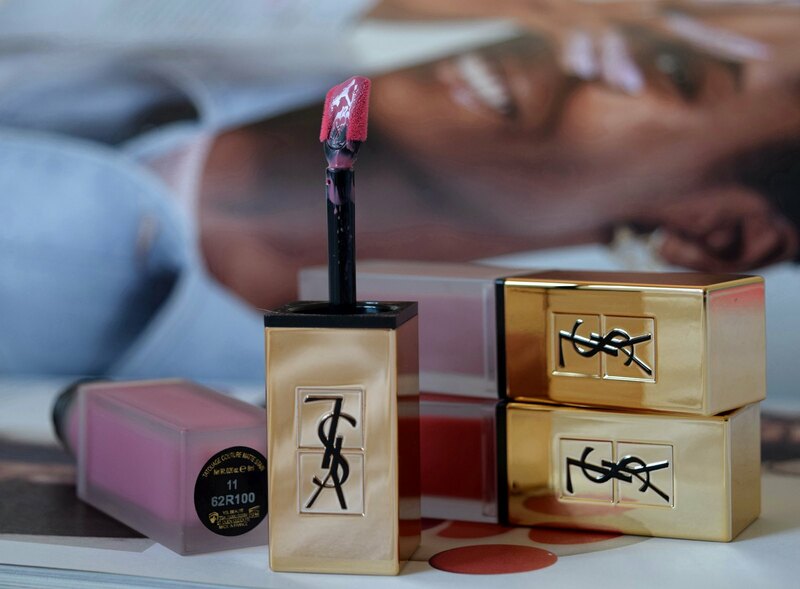 Since the formula is very thin, you don’t have a feeling as you are wearing any lipstick on. It’s not drying on the lips so this is definitely my favourite matte lipstick currently available on the market. I have tried both neutral shades and the more vibrant one, and all the ones I tried were equally good. So my final verdict is that this one is worth checking out and since there are 18 different shades available it’s easy to find colours that will match you. I’m curious, what are your favourite liquid lipsticks, shades, any recommendations for me?